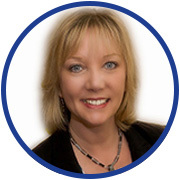 Jeannette is an AC Accredited Master Executive Coach, achieved accreditation with the Coaching Academy and has a Diploma in Business Performance Coaching. As Head of Coaching at Marshall Vere Associates, Co-founder of Purposeful Connections and through her work with the AC, she is passionate about crafting coaching programmes that bring about measurable changes in individuals, teams and organisations. Her delivery style is highly motivational, charismatic and energetic. With vast experience of working within hostile, fast paced, challenging environments including selection and recruitment, dealing with teams experiencing a takeover, running international conferences and working with inherited teams; she understands how difficult it can be to manage and develop others under those circumstances. Helen works as an Executive and Personal Coach. She has much experience of working in Public and Private sectors, where she has delivered training, coaching and facilitation. As owner of Helenbcoaching she is passionate about working with individuals and teams, from Board level to Junior Management, to reach their true potential. Helen has a Diploma in Leadership Mentoring and Executive Coaching, is CIPD and ICSA qualified and NLP Practitioner. Her coaching practice is underpinned by neuroscience, psychodynamics and transactional analysis. Through her training and experience she is able to notice and feedback patterns to her clients and support and challenge them on their way to greater effectiveness. Smaranda is the Director of Digital Learning and Events for the Association for Coaching. She runs the AC Digital Learning Programmes, offering coaches across the world access to thought leadership and providing opportunities for continuous professional development. Through her work, Smaranda is committed to support the profession's sustainable growth and development. With over 12 years of international experience, Smaranda has a professional background in both non-for- profit and corporate environment, covering Human Resources, Event Management and Project Management with a focus on restructuring, organizational design and strategy building. Her coaching practice focuses on helping ambitious professionals accelerate their career development and sharpen their skills so that they can realize their full potential and make every day matter. Hetty brings 30 years of psychology and executive coaching experience to global leadership development. Her career has spanned the arts, journalism and TV, health, NGO’s, policy and organisational development. A key focus is women’s leadership. A Director of The Flourish Initiative, a Senior Consultant with Performance Consultants International and Analytic-Network Coaching, and an Associate of Leaders’ Quest, she teaches on the Executive Coaching Diploma at the IMI in Dublin, and is the Editor of Coaching Perspectives, the AC global magazine. She holds a Masters in History of Art from the Courtauld Institute (UL) and a Masters in Psychoanalytic and Systemic Approaches to Consulting with Organisations from the Tavistock Centre (UEL). She is married and the mother of two millennial daughters. Her new book, The Future of Coaching: vision, leadership and responsibility in a transforming world, published by Routledge is out now. Danielle Earley is the Director of People and Operations for the Association for Coaching. Danielle’s primary focus is the effective operational running of the AC to ensure the AC is efficient and able to offer the best quality service to members. Danielle has an international background as a HR Change and Project Manager delivering a wide range of programmes in large organisations covering process design, policy development, restructuring, HR technology implementation, change management, organisational design and project management. Danielle has a passion for people development and her coaching and mentoring practice focuses on career development helping individuals achieve the career they desire. Sarah brings more than 15 years of experience in marketing, branding and communications to her role as Director of Marketing and Engagement with The Association for Coaching. Sarah’s primary focus is to continually drive community engagement amongst the AC’s members as well as increasing brand awareness internationally bringing the benefits of the AC to all those involved in Coaching. The setting up of the Association for Coaching in Greater China in 2016 recognises and marks the milestone in coaching development in China and globally. The AC in Greater China is founded on the principles of champion of coaching excellence and ethics. We fulfil the global vision that there will be best practice in coaching everywhere in the world. AC in Greater China honours traditional Chinese culture, at the same time we determine that coaching can only thrive when there are rules and standards to ensure professionalism and fair play. AC in Greater China pledges to advance partnership and connectivity for the success of coaches and coaching with and amongst fellow associates, professional organisations and enterprises in China and everywhere in the world. Today in the Greater China, we are more confident than ever that coaching open up the space and energy for every person and enterprise to discover, refresh and create. Together we lead coaching development in the Greater China to new ground. promotes the recognition and development of the professional capabilities of all its coaches, believing this to be a significant contribution to personal, professional, entrepreneurial and social development of the global reality of 21st Century Italy. The AC in Spain was first established in with the objective of promoting excellence and ethics in coaching to those members and the wider community involved in coaching within Spain. We are strongly rooted in our global organisation and have strong international ties. encouraging a real community with our members in Spain providing the opportunity to participate in our local and international events, accreditation schemes and online engagement. offer a standard, free coaching programme that reaches thousands of students. In 2002, the Association for Coaching (AC) was born in the UK. Founded by Katherine Tulpa and Alex Szabo, it immediately attracted talented coaching pioneers and leaders who shared the same vision, to address the needs of the emerging UK professional coaching community. From 2002 to 2009 the Global Board members and the Founding AC UK leadership team evolved the AC, innovating new products, books, services, events and ground breaking coaching conferences. The team soon attracted leaders and coaches from across the world that set the AC on the pathway to global influence, impact and scale. In 2009, the Global Board stepped into new central leadership roles and the UK AC team took on the baton of supporting the UK coaching profession. During this period, the UK has continued to develop, evolve and thrive. The focus has remained on delivering professional value added services and products to members. 1st July 2017 the AC UK once again becomes an integrated part of the AC as we evolve our professional delivery model. This strategic decision enables the AC to further enhance its offerings as we intend to grow the AC coaching communities in every country in the World. If you are interested in viewing the teams or becoming involved in these regions please click here.